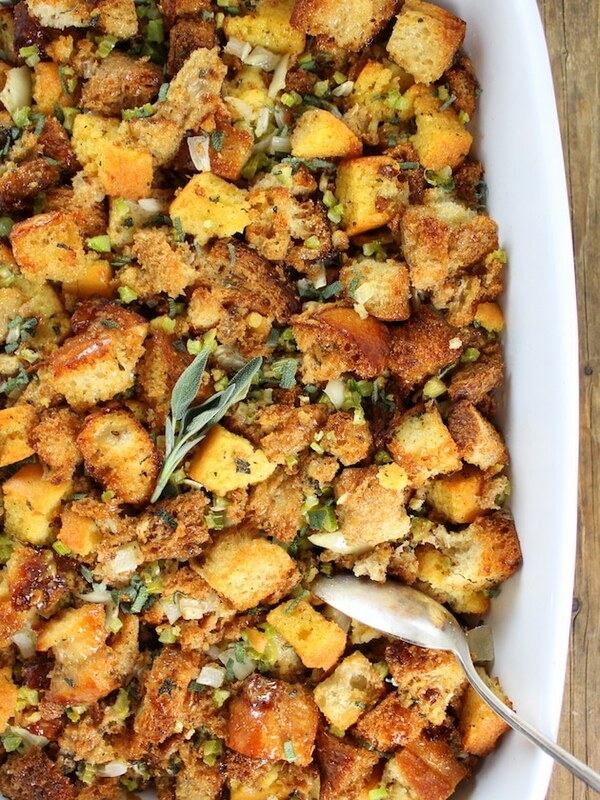 Turkey Stuffing is the corner stone of any Thanksgiving meal. 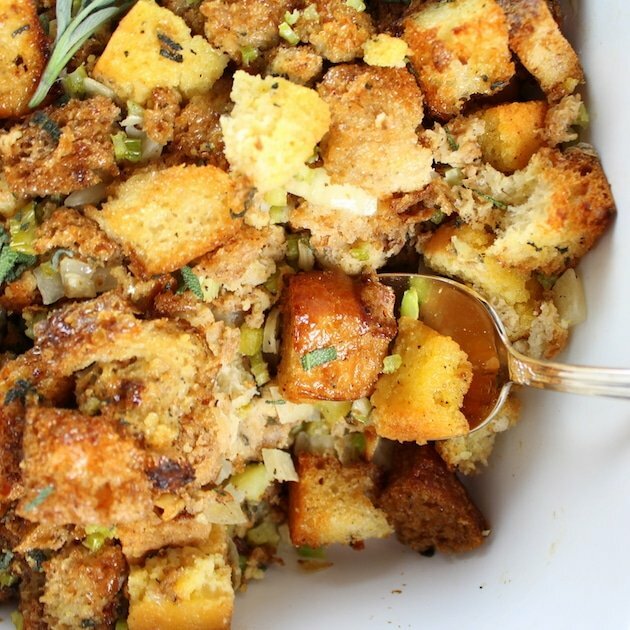 This recipe has it all, with turkey drippings, fresh sage, onion, celery, Asiago, artisan whole wheat and cornbread. 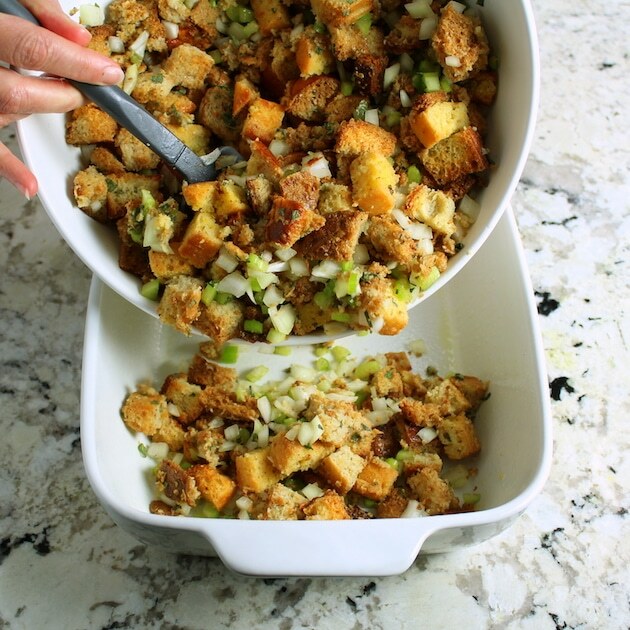 This Turkey Stuffing is one of those yummy family recipes that my mom would always make! 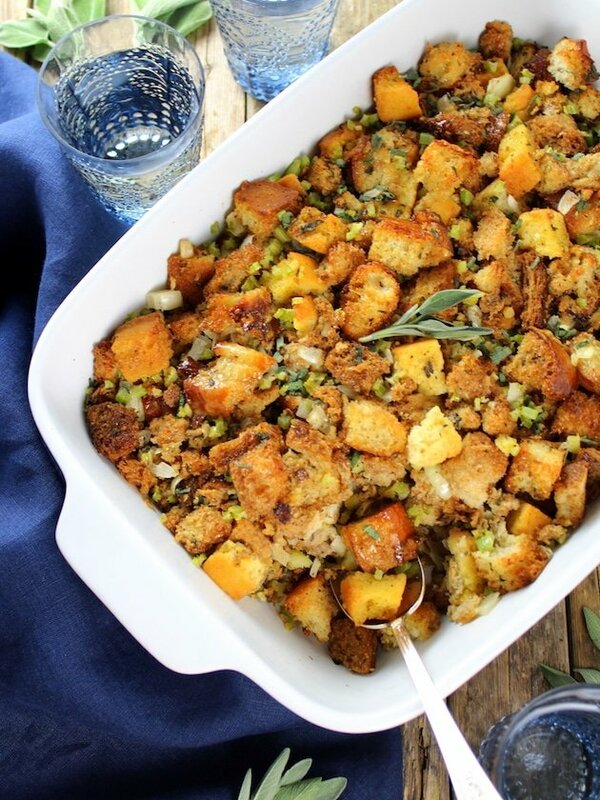 After I graduated from college I was living in Tulsa, OK , some friends of mine were cooking Thanksgiving together and I was in charge of the stuffing. So, of course I had to call my mom to get the family recipe. I actually still have the original piece of paper I jotted down the recipe on. You can also purchase it pre-made at your local grocery store to cut down on prep time. 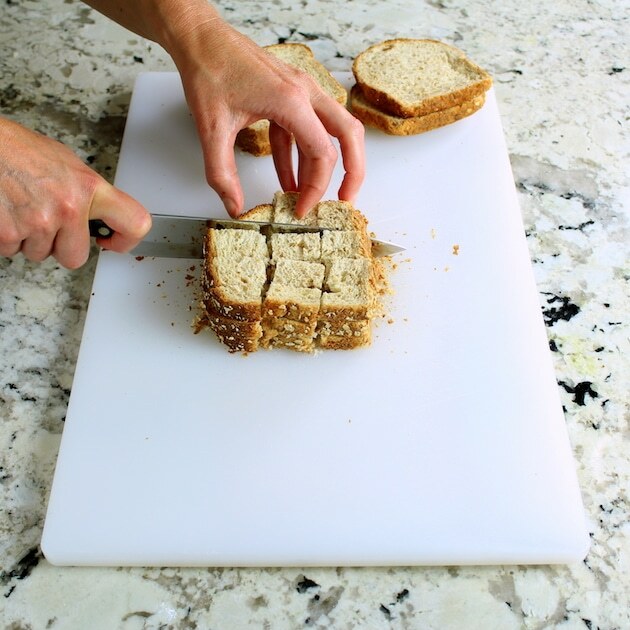 I remember my mom laying out slices of bread on cookie sheets a day or two before so they would dry out. That method is tried and true but a quick alternative is drying the cubed bread out in the oven on 350 degrees for 15-20 minutes. 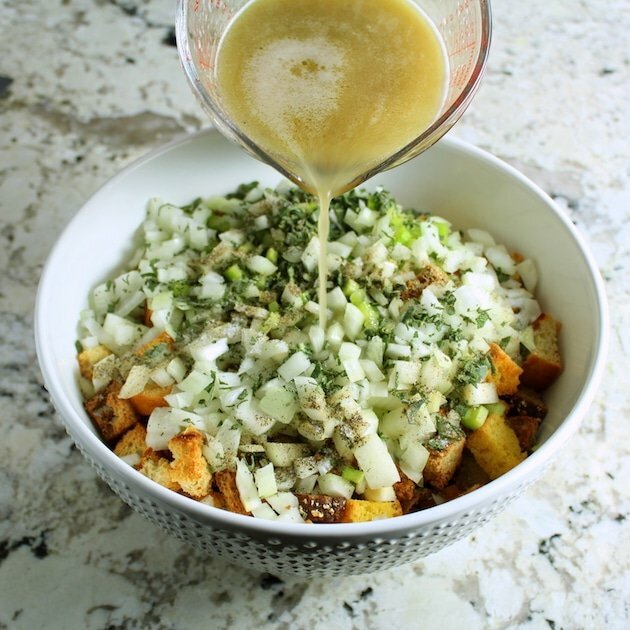 … turkey drippings and butter of course! It’s literally the secret sauce!✨ There’s also a few eggs added to the mix as well. Oh and if you’re looking for everything else that goes along with the Turkey stuffing, and a bit of entertainment, check out our Friendsgiving Supper Club post! Just like mom used to make it!! Combine flour, corn meal, baking powder, sugar and salt into a medium size bowl and mix together. 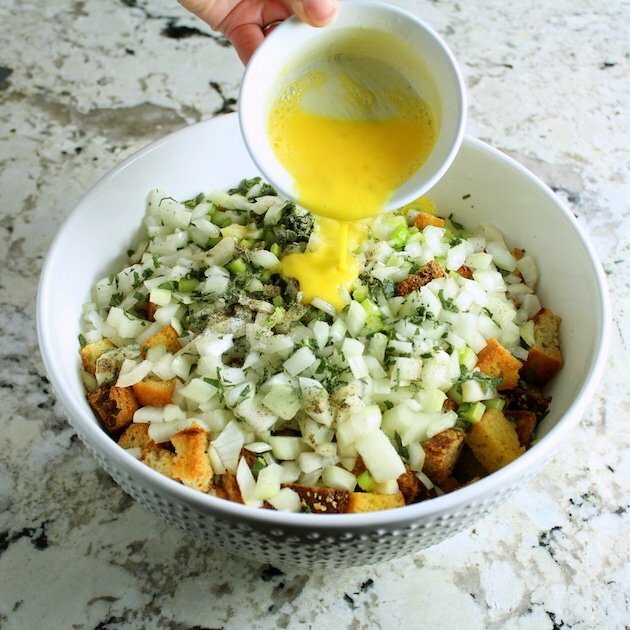 In another bowl combine egg, milk and 1/4 cup canola oil, mix until smooth. 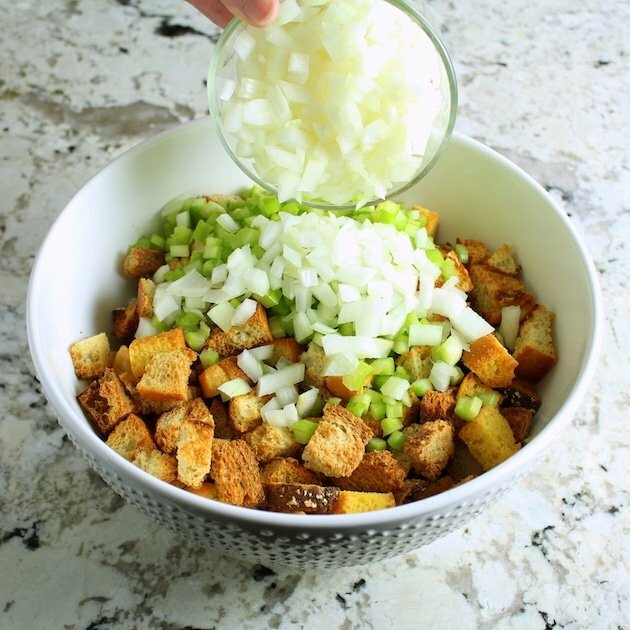 Combine the dry ingredients and the wet ingredients and gently mix together. Don't overwork the batter. Allow the mixture to rest in the bowl for about 2-3 minutes. Meanwhile, add 2 tablespoons of canola oil to your pan and place in the hot oven for 2-3 minutes. 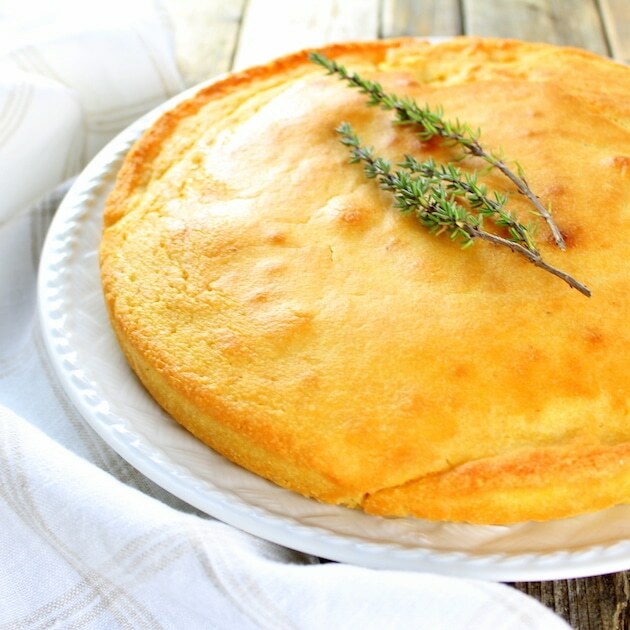 Remove the pan from the oven and pour the batter into the heated pan and bake for 15-20 minutes, until a toothpick inserted in the center comes out clean. 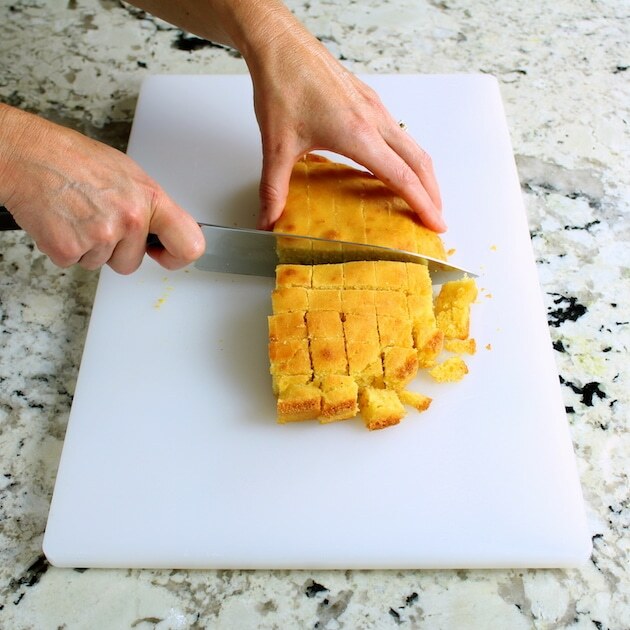 Cut into pie-shaped wedges for best results, and of course this is best served when it's warm!! 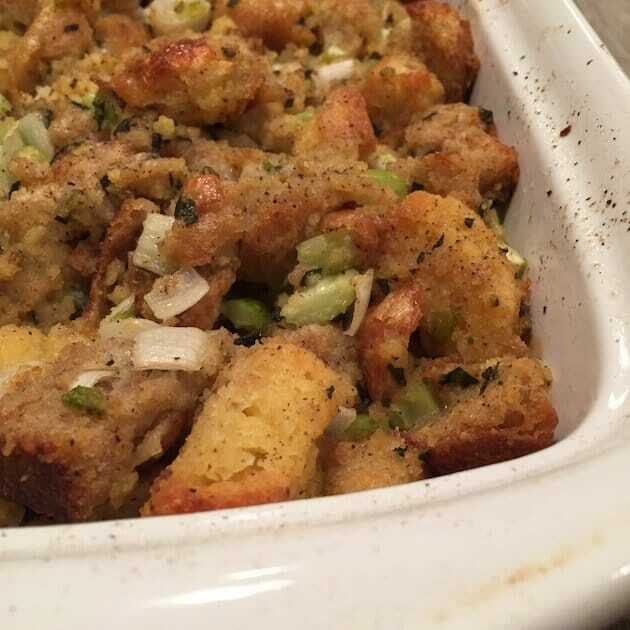 Classic turkey stuffing like my mom used to make it!! 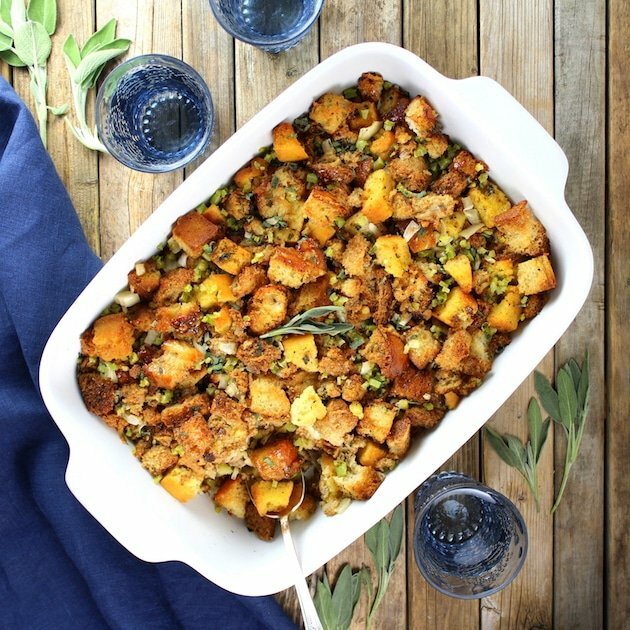 I like to double this recipe and made two 9x13 pans of stuffing. We like to make extra so we have plenty of leftovers! 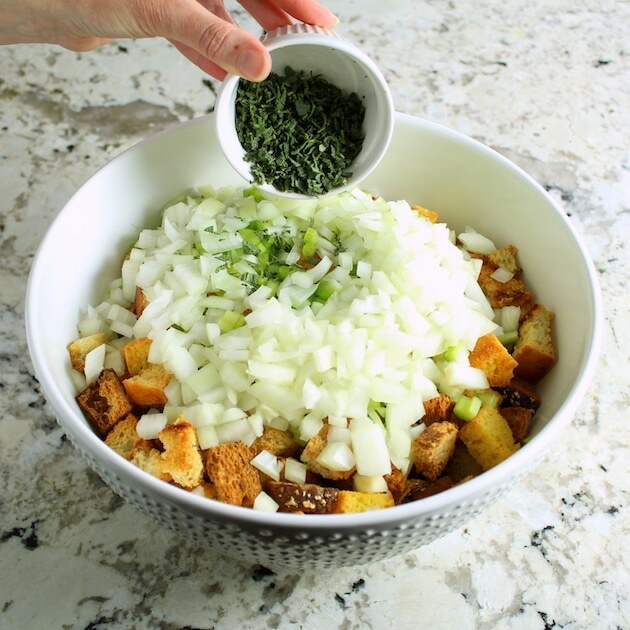 In a large bowl combine the dried bread, celery, onion, sage, salt and pepper. 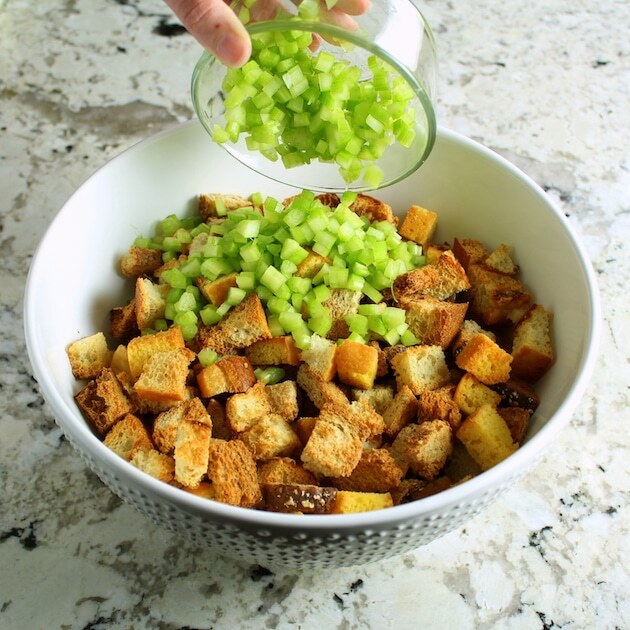 In a separate small bowl, combine butter, turkey drippings, stock and gentle stir into the bread mixture. You want all the bread to be moist but still leaving some of the cubes intact. 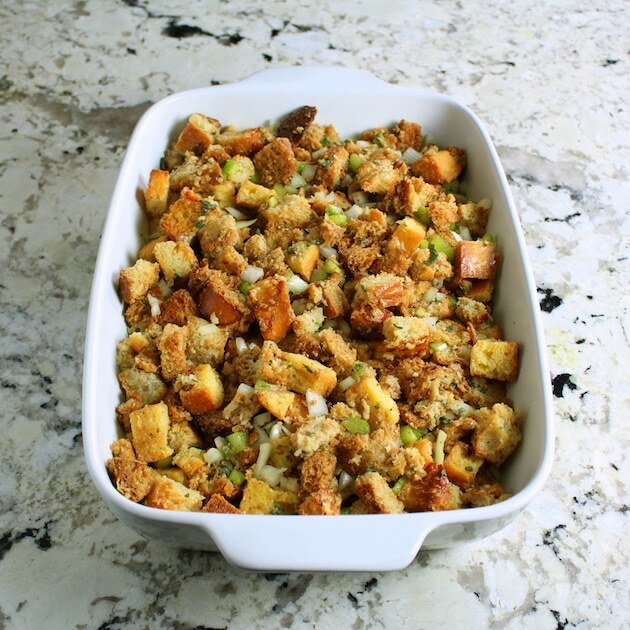 Next, add the beaten eggs to the stuffing mixture and fold the mixture together. 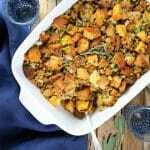 Liberally spray a 9" X 13" dish with cooking spray, then add the stuffing mixture. Cover with foil and bake 45 minutes. Remove foil and bake another 15 minutes, until golden brown on top but still moist in the center. 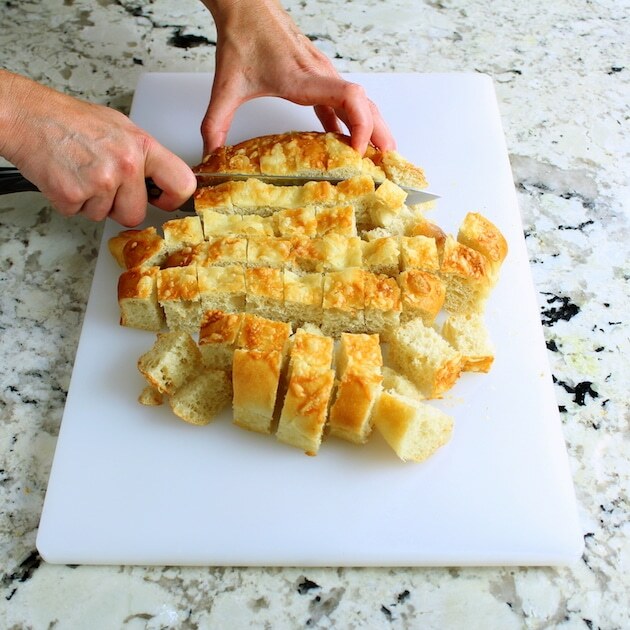 This recipe works best if you thoroughly dry out all the bread for at least 24-48 hours before cooking. 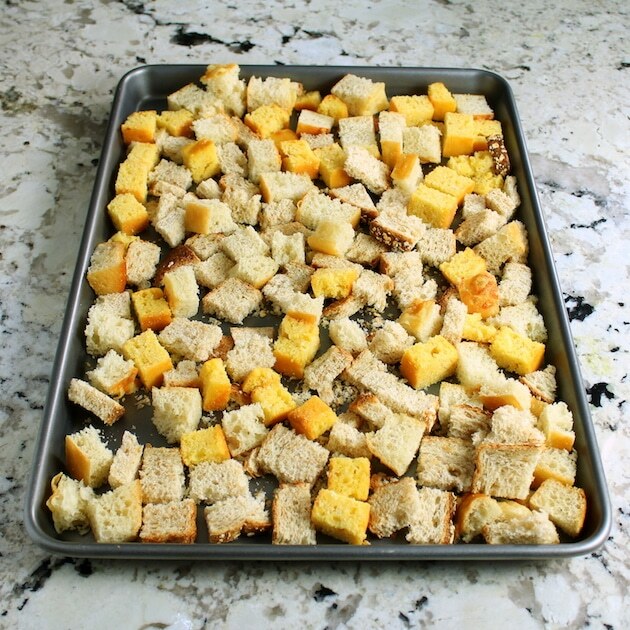 Cut the bread into 11/2 inch cubes and place on baking sheets on the counter until completely dry, firm and crunchy. If you need to speed things up you can dry the bread on cookie sheets in a 350 degree oven for 15-20 minutes as long as you keep a close eye on it so it doesn't burn. You can use more turkey stock (or drippings from the roasted turkey) in place of the chicken stock if preferred. I buy my Asiago focaccia bread at Panera Bread. 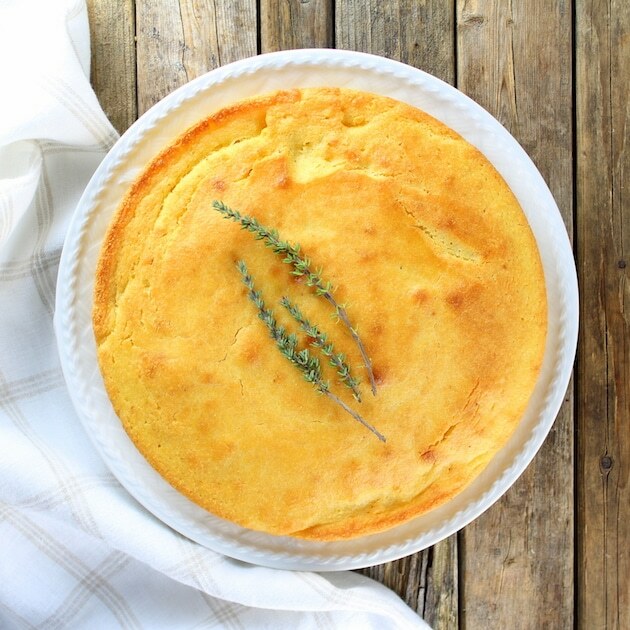 You got me at cornbread. Your mom’s recipe looks simply and yummy! 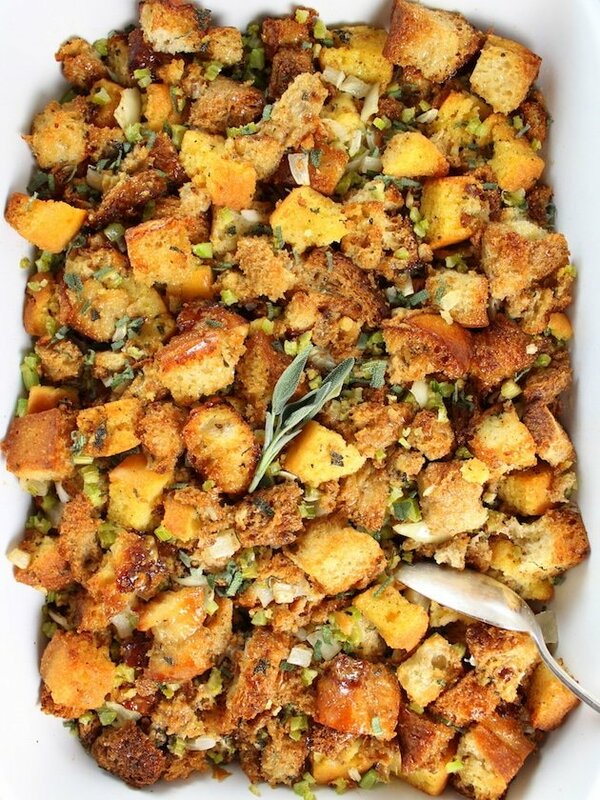 I love the idea of having a variety of breads in the stuffing!